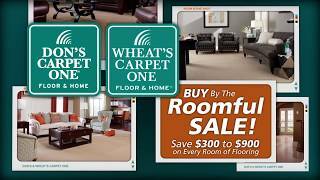 Save $300 to $900 on every room of flooring this week at Don’s Carpet One and Wheat’s Carpet One! Big savings on one room, three rooms, or a whole house! We have a variety of cabinetry selections to choose from in our showroom.